If you ask any of our crew, they will tell you that there are many highlights when you work on The Great Barrier Reef. One of the most special is making a positive impact on the lives of young people who jump aboard and spend the day exploring the breathtaking underwater world. 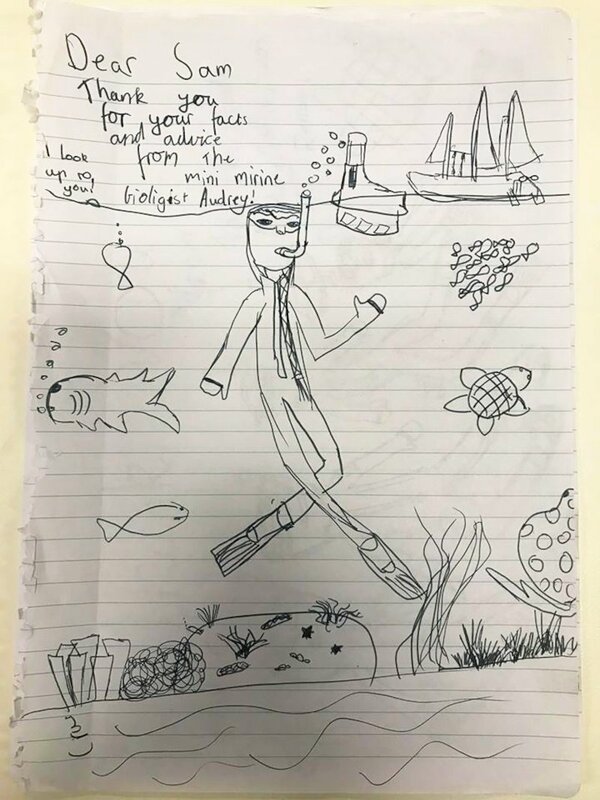 This month, this very special artwork arrived for our Marine Biologist Samantha from a lovely young girl named Audrey. Audrey was so inspired after spending the day on Ocean Spirit with Sam that she went away with ambitions of one day becoming a Marine Biologist herself! Here’s to Audrey’s dreams coming true!